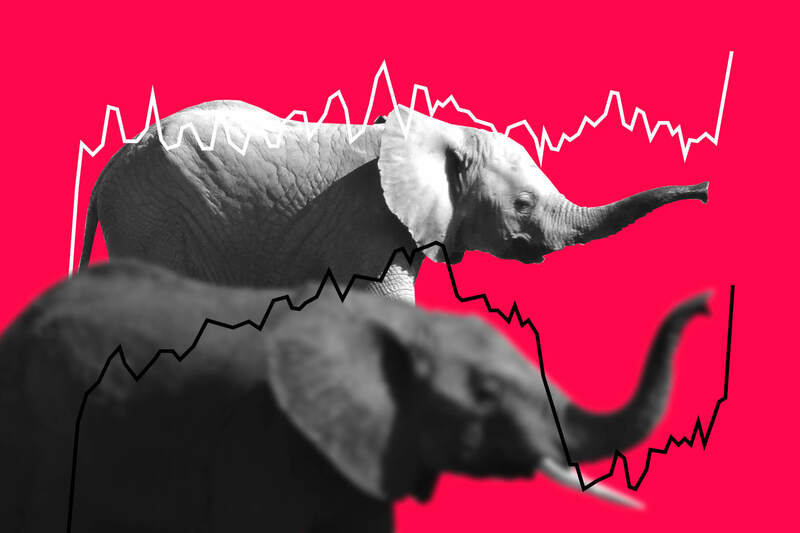 Economist Branko Milanovic's famous elephant chart has become a graph used to explain everything from Brexit to Trump and the election victory of the Finns Party. According to the chart, globalisation has benefited the middle classes in growing economies while the lower-middle classes in rich countries have suffered. However, the graph is not perfect. The reason behind populism is not faceless globalisation but the policies of nation-states. Global income distribution does matter, but not in the way suggested by the elephant chart. Johannes Koponen, MSc (Tech. ), works at Demos Helsinki and leads the work on the theme Democracy and capabilities. His core expertise is strategic futures research and developing business models using scenarios and other methods of futures research. Minea Koskinen, BSocSc, is completing her master’s degree in journalism and her master's theses on the concept of work in the national debate at the University of Tampere. She has written about economic sociology and social policy, and works as a producer in societal art projects. Henrik Suikkanen, BSc (Econ. & Bus. Adm.), is an economist and consultant at Demos Effect, a subsidiary of Demos Helsinki. Suikkanen works with Finnish businesses to solve long-term challenges through new and forward-looking operating models. Elephants have traditionally been considered symbols of good fortune and wealth in India and southern Asia. According to Serbian-American economist Branko Milanovic, the elephant really does bring wealth to Asia. His theories on the effects of globalisation became well-known in the book Global Inequality, which was published in 2016. The book is based on the so-called elephant chart. This chart seems to demonstrate that globalisation has produced clear winners and losers. The purchasing power of the global middle class, which means citizens of China, India, Thailand, Vietnam and Indonesia, has increased by 60-80 per cent over a period of 20 years. These people represent the high, broad back of the elephant. According to the chart, the global elite – mostly made up of the upper-middle class and wealthy citizens of industrialised countries – are the winners. They own the manufacturing that has moved to countries with low labour costs and which do the productive work. Purchasing power at the very top of this group has increased nearly 70 per cent. This is illustrated by the elevated tip of the elephant’s trunk. In practice, the purchasing power of lower-middle classes in OECD countries did not rise at all between 1988 – 2008. They represent the dip in the elephant’s trunk. The elephant chart offers a clear and easy explanation for the rise in western populism. After all, the people who vote for protest parties are the ones that were forgotten in the wave of globalisation! Milanovic’s elephant chart offers a clear and easy explanation for the rise in western populism. After all, the people who vote for protest parties are the ones that were forgotten in the wave of globalisation! Research institutes, newspaper editorials and politicians quickly adopted the elephant chart and used it to explain the popularity of populist movements, Trump, Brexit and the Finns Party. The chart explains why the people who vote for protest movements come from the middle class rather than the most disadvantaged segments of society. The middle class hasn’t been doing well and is losing the global battle to citizens of populous countries. The elephant chart suggests that the western middle class’ fear of losing its position of power is the reason for the rise of populism. However, this explanation is too simple. It’s time to shoot down the runaway elephant chart. The elephant chart compares the results of income surveys administered to citizens of different countries from 1988 to 2008. Thus, rather than describing income development for certain people – for example, the American middle class – over a period of 20 years, the chart compares the people that were in each global income bracket in 1988 and in 2008. These may be completely different people, who were in different countries or a different social class in 1988 and in 2008. The main reason for the misleading nature of the chart is population growth in the southern hemisphere. Let’s borrow an example from The Economist : Imagine a simple world populated by 750 million poor southerners and 250 million rich northerners. If incomes do not change over the next 20 years but the south’s population doubles, this would increase its share of the global population from 75 per cent to 85 per cent. For that simple reason, the richest segment of the poor southern population would move from the 75th to the 85th percentile of the global income distribution. Since the southerners do not earn any more than the northerners who previously occupied that position, income growth between the 75th and 85th percentile would decline sharply. The chart cannot be blindly used to explain the rise of western populism. Better-off Latin Americans and westerners of modest means dominated the 75th-85th percentiles of the global income distribution in 1988. In 2008, that same bracket was primarily made up of middle class Chinese. This means that the chart cannot be blindly used to describe the effects of globalisation on income distribution or to explain the rise in western populism. It does compare how western and Chinese wealth has changed globally over a period of 20 years. Secondly, the chart shows the relative change in real income rather than absolute change. Milanovic justifies this by explaining that relative change is how people perceive wealth. The fact that personal income remains the same while others get rich is considered unfair. However, the relative nature of the chart is a problem when it does not describe the same people. It also hides real differences in the development of absolute wealth. Milanovic offers another chart to explain this in his book. We can’t say that the western middle classes have lost earnings to Asia. If the entire world had produced 100 gold bars from 1988 to 2008, 44 of them would have gone to the richest 5 per cent of the population. The richest 1 per cent would have received nearly one fifth of the bars. In contrast, the Asian middle classes riding on the crest of the elephant chart would have only received 12 or 13 gold bars. Thus, we can’t say that the western middle classes have lost earnings to Asia. It’s unfair to state that globalisation has definitely caused a decline in income for the western middle classes and working classes. There is no reason to think that national administrations are powerless in the face of growing inequality and suspicion concerning the ruling classes. When the elephant chart is examined critically, as the Resolution Foundation did, its shape remains much the same but is less dramatic. We cannot say that everyone always benefits from globalisation. As American economist Tyler Cowen states, it’s very possible that globalisation has actually reduced middle class wages, for example, in certain sectors in Great Britain. We can’t only blame the invisible force of globalisation: the problem can usually be found in the conscious policies of nation-states. Many developed countries have gone through periods when income declined. However, we can’t only blame the invisible force of globalisation for this: the problem can usually be found in the conscious policies of nation-states. “To put it simply, the poor wage war, the middle class pays for it and the rich benefit from it,” states Milanovic. On the other hand, education and social policy have traditionally reduced inequality inside a country. Wrongs cannot be righted by terminating the globalisation project and return to its roots. However, attention should be focused on political choices and their impacts. When wealth is examined on a global scale, westerners are still doing very well. When wealth is examined on a global scale, westerners are still doing very well. Just being born in the United States gives a person an income that is 93 times greater than that of a Congolese. Milanovic calls this the citizenship bonus. According to Milanovic, we can explain two thirds of the world’s income differences by simply knowing a person’s country of birth. Regardless of income bracket, it’s better to be born in Sweden than in the Congo and, in particular, a poor Swede is better off than a poor Congolese. We easily assume that individuals are free to determine how they maximise their income and capital. In fact, country of birth limits the ability to increase income. Moving from a poor country to Europe or North America allows individuals to increase their incomes. When people try to balance the global income distribution through immigration, nations build barriers. Globalisation increases the movement of commodities, capital and information, but nations oppose this by implementing strong measures to restrict labour mobility. What is the lesson of the elephant chart? Opponents of globalisation are characterised by a longing for the past but not for the income level of that time. Imagine that you had been building wealth and an industrial society of unprecedented scale. You feel proud and see yourself as part of a greater story. Suddenly, the game changes and completely different things begin to produce value. Value is created by a globally scalable digital platform rather than a new car. Your income level does not fall below that of your neighbour, but the things that you’re accustomed to consuming and doing – and which others also appreciated – have lost their position. Protest movements cleverly take advantage of this longing for the values of earlier times. The elephant chart doesn’t tell the whole truth about the effects of globalisation, but changes in the world do cause strong reactions. Although globalisation may not have caused a decrease in earnings, it may seem like international competition is a threat to a person’s income. This fear can be seen in the support for populism. In his book, Milanovic notes that pure economic forecasts have usually missed the mark in history. Forecasts in the 1960s and early 1970s stated that the world would soon be controlled by a few major corporations. China wasn’t mentioned at all. Then the monoliths broke, development went in the other direction and China became a driver of the global economy. Ultimately, the chart only reveals how willing people are to accept a new story about the problems of the western middle class. Perhaps the lesson of the elephant chart is actually related to the power of theoretical economic explanations. One chart was supposed to explain everything, but ultimately it only reveals how willing people are to accept a new story about the problems of the western middle class. When talking about Finland, it’s important to note that this is the so-called lower-middle class. James Galbraith’s book Inequality and Instability suggests that war had an unequal effect on income distribution in Washington DC.